The OLP-87 PON Power Meter enables simultaneous power measurement of all upstream & downstream wavelengths on live B/E/G-PON networks and is also compatible with next generation PON networks (XG-PON & 10G EPON). The OLP-87 is an FTTx/PON power meter for use in activating and troubleshooting B-PON, E-PON and G-PON and next generation high speed 10G PON such as XG-PON and 10G-EPON networks. 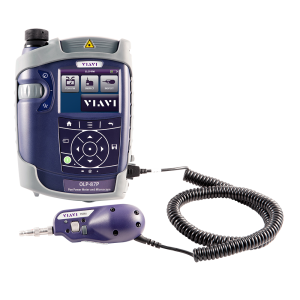 The OLP-87 combines a high-performance wavelength-selective power meter with pass/fail fiber inspection analysis capability into one portable solution.